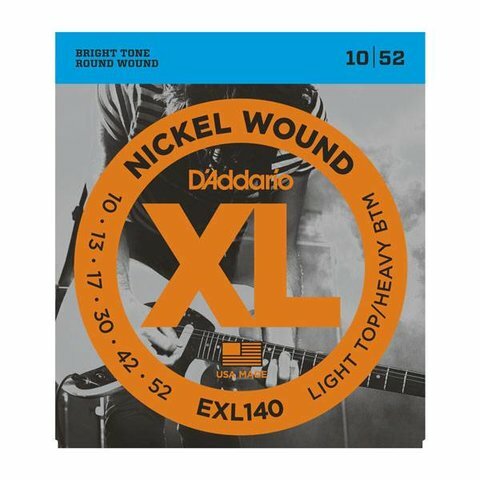 EXL140 is one of D'Addario's most popular hybrid sets, combining the high strings from an EXL110 (.010) with heavier low strings (.052). This combination delivers powerful low end for heavy chording and flexible plain steel strings for bending. Optimized for down tuning. Buy 10 sets and save!